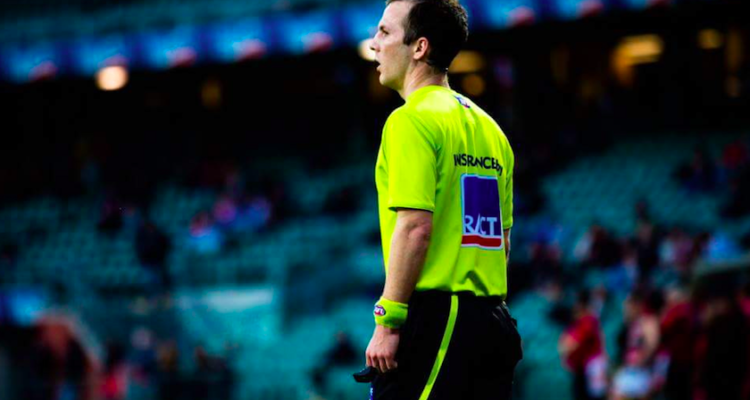 Like a number of his umpiring colleagues, the earlier attraction to umpiring was money and fitness, so as a 14-year-old, Adam Reardon started umpiring in regional footy competitions around the Hobart area for a couple of years before starting to umpire in the Tasmanian State League when it was reintroduced in 2009. Since then, he has umpired over 150 TSL senior matches, 7 senior grand finals and 5 State games. 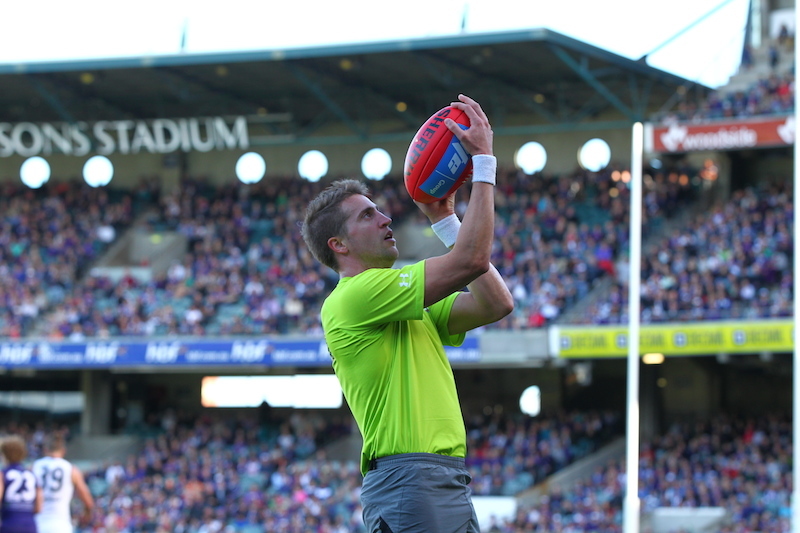 His career highlight to date was umpiring the U18 Curtain Raiser at the MCG on AFL grand final day in 2017. The most influential person on Adam’s career to date has been his coach in the TSL Symon Bird. Simon was initially one of his mentors when Adam began umpiring, Symon pushed Adam to work harder and push harder for a chance at selection for the AFL after returning to coach, believing he could make it. Adam’s advice to up and coming umpires is simple – listen to your coaches and take on feedback but most importantly enjoy what you do and the rest will come. Adam sees himself as a bit of a perfectionist so if he starts something, he likes to give it his best shot. Adam is an accountant and likes anything sport related, especially AFL, cricket and cycling. He also enjoys reading and chilling out with friends. Best of luck Adam with your move to Queensland. We wish you all the best following the white line in season 2018!